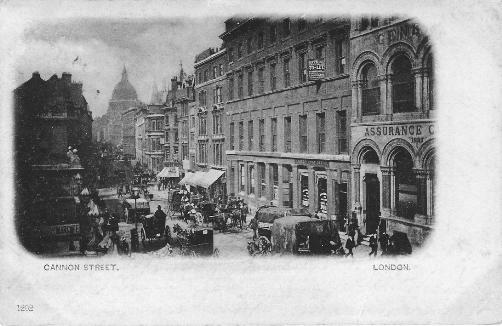 Cannon Street was originally known as Candlewick Street and was once the site of a Roman Milestone. 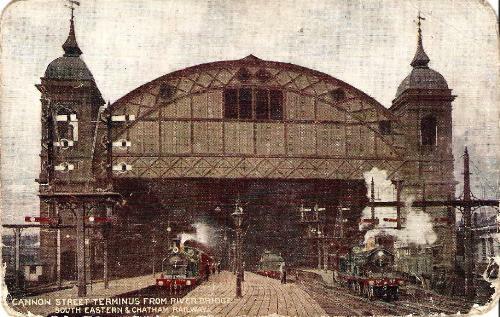 Since the 19th century it has been synonymous with Cannon Street Station. The 'Cannon Street Extension Railway' was opened in September 1866, linking the area to Charing Cross and London Bridge. The station building was designed by Sir John Hawkshaw and J.W. Barry. It incorporated two Wren-style towers facing the River Thames. Between the towers stood a 700 ft long iron train shed with a single arch of iron and glass. A hotel and forecourt designed by E.M. Barry was added in 1867.